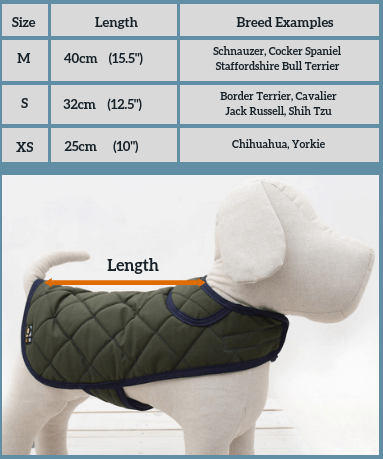 Available in three colours, our quilted dog coat is made to suit the most discerning dogs. A water resistant waxed outer will provide protection from the elements wherever you are. The quilting and inner fleece lining will add warmth in colder weather. Our coats are fully machine washable so even the dirtiest dogs can always look good! Available in XS, S and M, from 25cm to 40cm (back length). 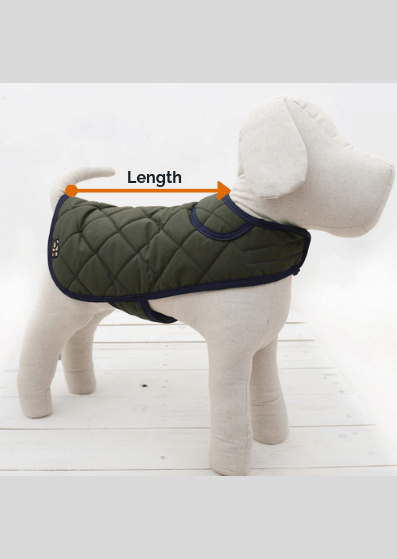 If you are unsure whether your dog requires a coat read our blog on the subject here.